I saw how our Muslim brothers fought against government forces while their families were assisted by the government at the evacuation centers… I saw them fall down as they were hit by government bullets… I saw how their families mourned later that day… I saw how our Muslim leaders displayed their long arms even inside shopping malls… It’s a greed for power… It’s an arrogant display of power!!! I would rather name the slaughtering as “Ampatuan Massacre” as it happened at the town of Ampatuan without directly attributing it to the Ampatuan clan. Maguindanao is so big that its entire province will be unfairly dragged to the incident. It is only appropriate to name it “Ampatuan Massacre” to remind the people in that poor town of the atrocities of their leaders. I used to pass by the area where the convoy of the Mangudadatus where held and waylaid to their place of death. The paved hi-way of Ampatuan is inhabitated on its sides like a usual countryside road. 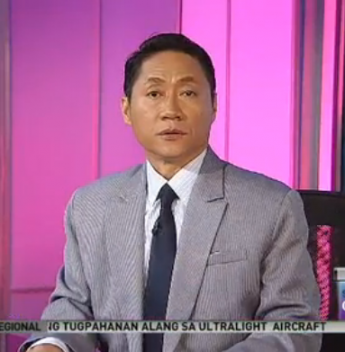 I had joined the group of VP Noli de Castro in his TV Patrol Caravan in Mindanao before he became senator. Our convoy passed by the area and our security escorts told us to speed up past the area as it is prone, not by road accidents, but by ambushcades. I saw the poverty state of the province and the poorest residents of this country. Ironical, that its leaders–the Ampatuans are sporting in 6-valve vehicles around the small town. I saw the Ampatuans in Davao City and their mansions in Juna Subdivision where i used to pass by while on-assignment in the City for four years. Some of the Ampatuan kids were enrolled in The Philippine Women’s College where my kids were also studying. The parents in the school had complained of the presence of armed men inside the campus fetching the Ampatuan kids. That caused the banning of parents’ vehicles from going inside the campus to prevent the Ampatuans’ bodyguards from getting inside the campus. Davaoenos can not forget a homicide case involving one of Andal Ampatuan’s grandsons sometime 2002. The young Ampatuan was detained but eventually released after posting bail. The last information i’ve got–the case was settled outside the court. That Friday before the November 23, 2009 “Ampatuan Massacre”, my Media Laws and Ethics class was tackling about Mindanao being one of the world’s most dangerous places for journalists as described by the France-based organization Reporters Without Borders. 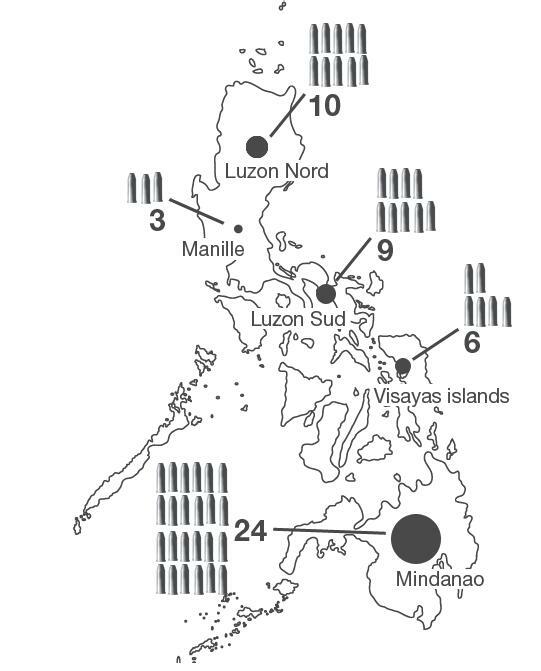 Of the 52 journalists killed since 1986 in the Philippines, 24 were in Mindanao, 6 in the Visayas and the rest in Luzon. 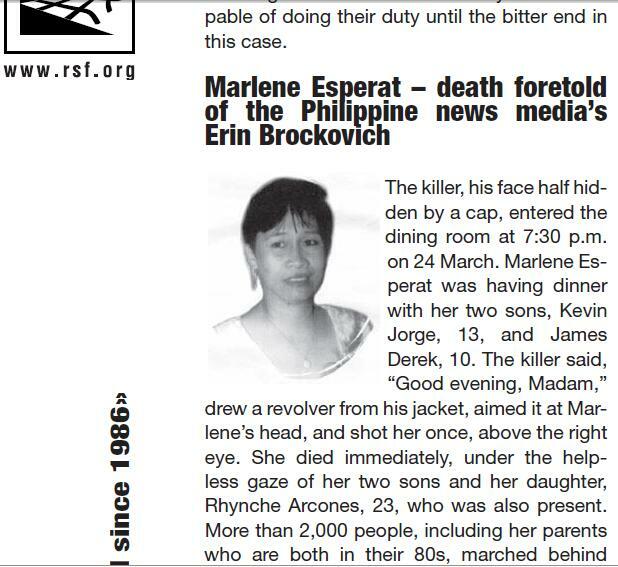 The most prominent of the Mindanao journalists killing are the murders of Arlene Esperat of Cotabato City and Edgar Demalerio in Pagadian City. Jun Pala’s death in Davao City may also be remembered as the late broadcaster was a staunch critic of Mayor Rodrigo “The Executioner” Duterte. Esperat’s killing was linked to the fertilizer anomaly at the Department of Agriculture while Demalerio’s case involved a policeman who was hired to kill the radio broadcaster. The Reporters Without Border put the Philippines in the 2009 World Press Freedom Index at the 122nd rank among 175 countries. The rank was an improvement of last year’s 139th rank due to the 8 murders of journalists. Prior the “Ampatuan Massacre”, there were only 2 journalist killings in the country in 2009 which improved the ranking of the Philippines in the Press Freedom Index. JOURNALISTS @ THE WRONG PLACE, @ THE WRONG TIME, BUT OF THEIR OWN CHOICE. All of the more than 30 journalists covering the filing of the Certificate of Candidacy of Buloan Vice-Mayor Esmael Mangudadatu on that fatal day of November 23 were informed beforehand of the danger in joining the convoy. In fact, as it was told by a correspondent who was not able to join the convoy, a meeting of the journalists and the Mangudadatu was held on Sunday to ensure the safety of the journalists joining the convoy. There was no police escorts nor military personnel securing the convoy. It was why the Mangudadatu requested media to join them thinking the Ampatuans will be prevented by the presence of the journalists. But it was a case of “leave no trace” as allegedly instructed by Datu Unsay Mayor Andal Ampatuan Jr who was tagged as leader of the 100 heavily armed men who waylaid and killed all of the 57 victims. That brutal day has been receiving condemnation from all over the world and has been the subject of discussions among international media groups. The Arroyo administration is pressured by the callings of the United Nations and the European Union and other nations for a speedy justice. Ampatuan was really evil. bahay nya bintahan ng marijuana, yung mga tauhan ni ampatuan nagtatago sa dun banda sa camp 4 sa maguindanao. naka plan na sana yung pasukin ng isang batalyun na naka assign dun pero pinalitan sila kaya di natuloy. ampatuan and all his men should be wiped out. Mga putang ina yang mga ampatuan!!! dapat mamatay sila lahat!!! At ito naman ating presidente na walang kwenta nakikipag kaibigan sa mga criminal at serial killers…. GREEDY AND SELFISH AMPATUAN’S family!!!!!!!!! !